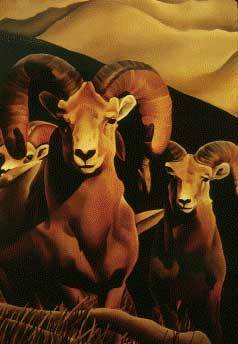 The Society for the Conservation of Bighorn Sheep (SCBS) is a California registered, non-profit organization founded in 1964 and dedicated to the conservation and management of the desert bighorn sheep. SCBS has had the longest record of working to restore our desert Bighorn in California. Our ongoing programs with state and federal agencies have had a dramatic and positive effect on the resource. SCBS is the oldest non-profit conservation organization working to help keep sheep on the mountain. For over 45 years SCBS has contributed immeasurably to the comeback of this magnificent animal by raising funds and public awareness, seeking grants and financing studies, installing waterholes and wildlife drinkers, improving and enhancing habitat, and spearheading a translocation program to return the Bighorn to its historic ranges in the California desert. This restoration effort was undertaken by SCBS in cooperation with the California Department of Fish and Game (CDFG) and the Bureau of Land Management (BLM) under Memorandums of Understanding and in accordance with the CDFG's Bighorn Management Plan. Statistics reflect the success of these endeavors. 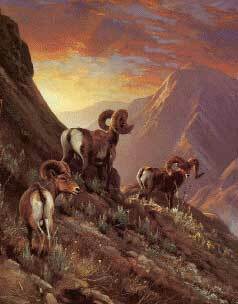 Currently the Bighorn has been restored to approximately fifty percent of its former habitat, and its population has increased by eighty percent.